Did you get it? 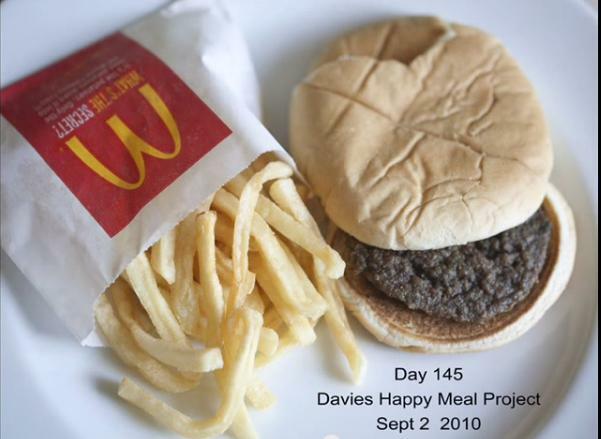 Mc Donalds foods do not break down like other PROCESSED fast foods. The fries do not appear to be food at all. . . What is it then? Do you hear it? Additives - scent enhancers, taste enhancers, color enhancers are added to processed foods. Addictive neural stimulaters. Not food. Did you see it? Straight up truth in your face. What could be worse than sixteen packets of sugar? Easy - aspartame. Aspartame is in the DIET soda's. Do you get it? The FDA (Food and Drug Administration) is a Government Funded Agency designed to protect us from poisons and recalls, right? ARTIFICIAL FOOD IS KILLING YOU, DELIBERATELY TARGETING YOUR PHYSICAL BIOLOGICAL SYSTEM WITH DEAD ON ACCURACY.